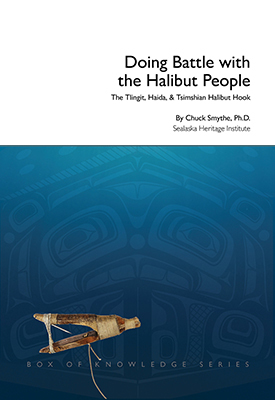 Sealaska Heritage Institute (SHI) has released the most comprehensive book ever published on traditional northern Northwest Coast halibut hooks, known as náxw in Tlingit. The book is available at the Sealaska Heritage Store at 105 S. Seward St. in Juneau and online. In 2018, the Juneau Economic Development Council and the Alaska State Committee for Research (SCoR) inducted the traditional wood halibut hook used by the northern Northwest Coast Tlingit, Haida and Tsimshian into the SCoR Alaska Innovators Hall of Fame.